At Movers R Us we take pride in the service we provide, which we hold to a very high standard. Our focus is always on the provision of a high-quality service and the minimisation of damage during the relocation process. While many companies say they have insurance, ask them to show you proof. We’re willing to bet you they can’t! Unfortunately it’s a common misconception that removalists insure your possessions with every move. By law removalists are unable to insure your individual items unless they are a registered insurance agent. Some insurance companies cover your possessions for relocation if you have Home Contents Insurance. We suggest you contact your Home Contents insurance to see exactly what it actually covers, as different policies cover different things. 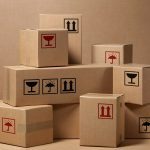 Movers R Us cannot accept any responsibility for damage to your property or goods , though we assure you that we take the utmost care with every move. This is evidenced in the fact that more than 80% of our business comes from repeat customers and word-of-mouth referrals.